1. Signature panel : The signature panel in credit card shows the signature of the card holder and if you will see that the signature is not white and if there will lot of marks of master or visa card then it will be a fake credit card. And one more thing you need to check is the number on the left side of signature panel should tally with the numbers on the front side. 2. Ultraviolet rays : You can check weather your card is fake or not with the help of ultraviolet rays . You need to put your credit card under ultraviolet rays and if you will not find the large dove hologram on Visa cards and large MC on Master Cards then your credit card is fake. 3. 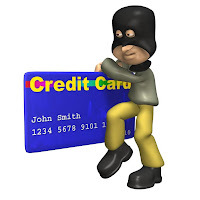 Identification number : You need to check that weather bank identification number of 4 digits is printed below the embossed account number is matching match the first 4 digits of the embossed account number or the card or not , and if its not matching then your card is fake. 4. Account numbers : This is the most valuable point which you need to understand. You have to know that the account numbers of Visa embossed begin with 4. In case of Master Cards, the number begins with 5. The account number of American Express normally starts with 37. Also, check whether the embossing is clear. That was some smart and useful tips to detect that weather your card is genuine or not. You can follow my blog for getting some more recent information on credit card and other financial matters.